Throughout my time of working out, running, dieting, and fitness I’ve found nutrition to be the most interesting and controversial. I always see new posts of thoughts and ideas on it. I even research numerous things on healthy foods, supplements, etc. from time to time. I recently stumbled across this diet/lifestyle while looking through the website of Durianrider, a popular Youtube blogger who promotes a high carb vegan lifestyle. The book I found was 80/10/10 by Douglas N. Graham. I looked into reviews and checked out some videos of the author online. I could kind of figure out how the diet worked and what one would need to do to follow it but I bought it anyways for more detailed information and to use as a reference guide. 80/10/10 stands for percentages of your total daily calories while following this High Carb Raw Vegan lifestyle. 80% minimum for carbs, 10% maximum for fats, and 10% maximum for protein. How is this achieved in a healthy manner? Eating fruit of course. MASSIVE quantities of fruit. To follow this diet you must consume fruit throughout the day and tender leafy greens (lettuces) for dinner (also some seeds and nuts are optional). Now first off this is highly extreme and a lot different than most people are accustomed to. It’s definitely something that most people aren’t brave enough to try or just don’t have the will power. Although it can be transitioned to over a period of time adding more fruits and vegetables to your diet. I can’t go into incredible detail about the diet itself because it would practically be a book so I’m going to get right into my own experience with it and my review. So, back to where I started.. I found out some interesting information in the book and online and decided to give it a try for a day or weekend. Well, it ended up turning into ongoing as I’m still doing it. I gained so much energy from it, my insides have felt a lot lighter, my meals don’t take forever to digest, and there’s no crash either. I’ve even lost a little extra fat I didn’t really need without any calorie restriction whatsoever. I actually over-consumed calories and still dropped the fat. The hardest part of this diet is getting in the calories. Most fruit has actually very low in calories so to get a meals worth of calories you have to consume a large volume as opposed to smaller calorie dense meals most of us are used to. I could easily see people failing in this aspect, I had trouble in the first day or so. I quickly found bananas and dates to be the main staples of the diet. Both bananas and dates are high in calories. Dates tend to be sweeter and a lot smaller than bananas making them a bit easier to boost calories as well. A lot of times I mix it up with different vegetables, rice, corn pasta, etc. so it doesn’t get too monotonous. I have been following this lifestyle although having some cheat days hear and there and am not strictly following it, strictly would be all raw all the time, some of the vegetables I eat are frozen or need to be cooked to eat which are not typical foods on the diet. What about protein and fats? Of course we need these macro nutrients in our diet and we certainly get them in this lifestyle. 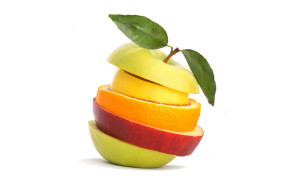 Fruits and vegetables contain fats and proteins. When consumed in high volumes, they add up to necessary amounts needed. I do both strength and endurance work, a lot more endurance work and haven’t seen either my strength or endurance decline. They have actually improved a lot more and post workout recovery has been faster and the soreness less nagging. I feel that the diet/lifestyle has actually allowed my body to adapt faster to my workouts and perform at its peak. During races I feel a lot lighter and faster. Compared to how hard I worked in the past and the small incremental results I was getting, I was blown away by how dramatically this improved my health and performance. I really want to encourage people to at least experiment or try this if they’re serious about improving race performance, health and vitality or even for just health reasons. Given I went to personal training school in the past and had some basic knowledge of nutrition this totally changed my whole perspective on it. Fruits and vegetables are the most nutrient dense natural foods on the planet. No one can dispute that. It’s the other foods that begin to complicate things. But if you clear you mind and go back to the basics it’s very simple and it makes common sense. Because of costs and struggles with attemping this kind of diet there is a backup plan which is cheaper and efficient to stay close to the values of this diet. Its called raw til 4. Basically you follow the same principles except at dinner time before or with your greens you fill the rest of your caloric requirements with starches/gluten free grains: potatoes, sweet potatoes, corn pasta, and steamed white rice. Steamed white rice may not be the most nutritious but on a budget it is definitely by far the cheapest most efficient way to get carb calories in. The most nutritious is of course sweet potatoes as far as starches go. Also the most filling as well.